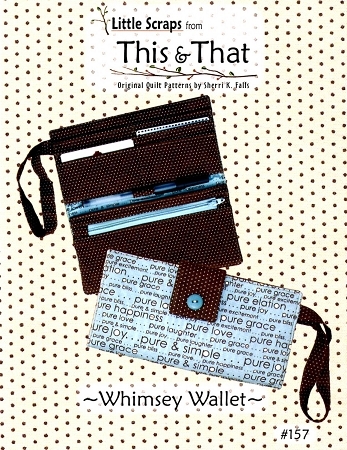 A sweet and easy wallet to hold everything you need to go out on the town. 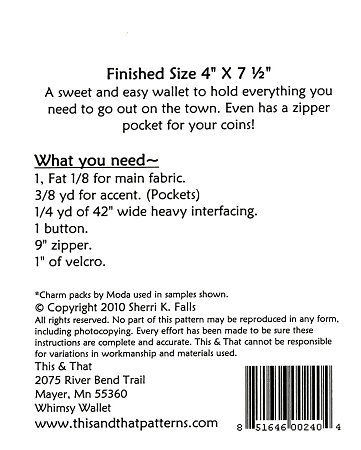 It even has a zipper pocket for your coins! Finished size is 4in x 7-1/2in.